It looks like the Spider-Man: Far from Home trailer could really premiere this weekend at Brazil Comic-Con. Rumors have been swirling since last week that we'd get our first look at the sequel really soon, but it still seems like it could be too good to be true at this point in time. Marvel Cinematic Universe fans have been waiting for the first Avengers 4 trailer, which hits theaters before Far From Home, and holds the key to understanding Peter Parker's fate. It has been confirmed that the Spider-Man: Far From Home trailer has been rated. It clocks in at 2 minutes and 30 seconds long, which means that this will be more than just a teaser. Sony's Brazil Comic-Con, aka CCXP panel takes place this Saturday, December 8th, at 7pm GMT/2pm ET/11am PT. So, regardless if the new trailer drops or not, we will know sooner rather than later. Additionally, it has been rumored (yes, again) that the Avengers 4 trailer will premiere tomorrow morning on Good Morning America. If so, this will truly be the special week for MCU fans that was hinted at last week. If the Spider-Man: Far From Home trailer does debut this weekend, it may only be a CCXP exclusive, much like how the first footage for Infinity War was an exclusive for D23 Expo and San Diego Comic-Con. Or, the trailer could be released shortly after its debut online. At this time, it's way too early to tell. It's entirely possible that the trailer could be made up of footage from the first installment with a hint of the sequel as well, so it might be best to not get hopes up. 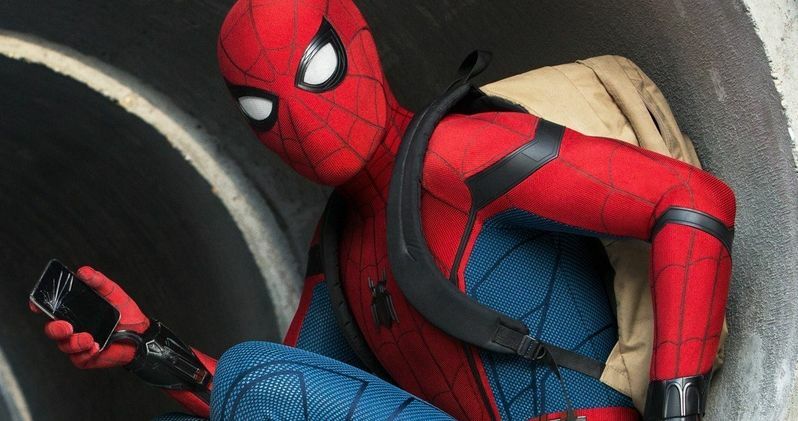 Peter Parker famously didn't make it out of Infinity War alive, and many fans are trying to figure out how he's able to come back for Spider-Man: Far From Home. Without any context, it would be pretty bizarre to see him back to normal without being given any Avengers 4 information. Whatever the case may be, one can rest assured in knowing that Marvel Studios and Sony have all of these issues covered for the upcoming intense marketing campaign for Captain Marvel, Avengers 4, and Spider-Man: Far From Home. Again, just because the trailer has been rated, it doesn't mean that the first Spider-Man: Far From Home footage is imminent. However, it would be pretty amazing if Marvel Studios and Sony were able to pull off a trifecta of trailers in one week. The second Captain Marvel trailer was released earlier this week and fans have been dissecting it and going through every frame to find connections to the rest of the MCU. As with everything having to do with Marvel Studios, none of this information has been confirmed, so it's still very much speculation at this point. You can check out the official rating for the Spider-Man: Far From Home trailer over at Consumer Protection BC.